A Comprehensive Economic Development Strategies document (CEDS) contributes to effective economic development in communities and regions through locally-based, regionally-driven economic development planning processes. A CEDS document is required by the U.S. Department of Commerce Economic Development Administration (EDA) in order to maintain Economic Development District (EDD) status, and must be updated at least once every five years to qualify for EDA assistance. 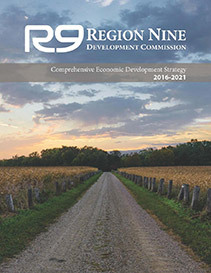 Region Nine is the designated Economic Development District for the nine county area of South Central Minnesota (Blue Earth, Brown, Faribault, Le Sueur, Martin, Nicollet, Sibley, Waseca, and Watonwan Counties) and is responsible for preparing the CEDS update report. Click the image below to view the 2016-2021 Comprehensive Economic Development Strategy. 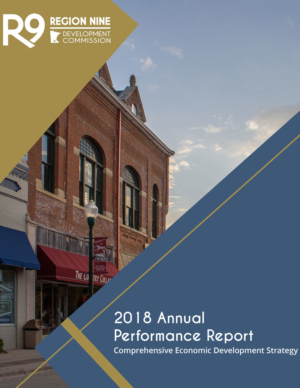 Click the image below to view the 2018 Annual Performance Report. The CEDS Committee is made up of 21 members. Areas represented by the committee include: private business, post-secondary education, labor, education, government, and community based organizations. This commitment to diversity helps to create engagement in both the public and private sectors, and establishes a blueprint for regional collaboration.